Today Kaspersky Lab is announcing its latest step in its mission to save the world. Understanding the importance of preserving past cultures, for the benefit of future generations, Kaspersky Lab is continuing its cooperation with the Archeological Society at Athens (ASA) to further develop its Akrotiri project, and save the remains of the historic Cycladic/Minoan settlement. Kaspersky Lab is sponsoring a number of activities to help the scientists further their work, including the restoration of the excavations, the conservation of spectacular wall paintings and the project’s building conservation work. 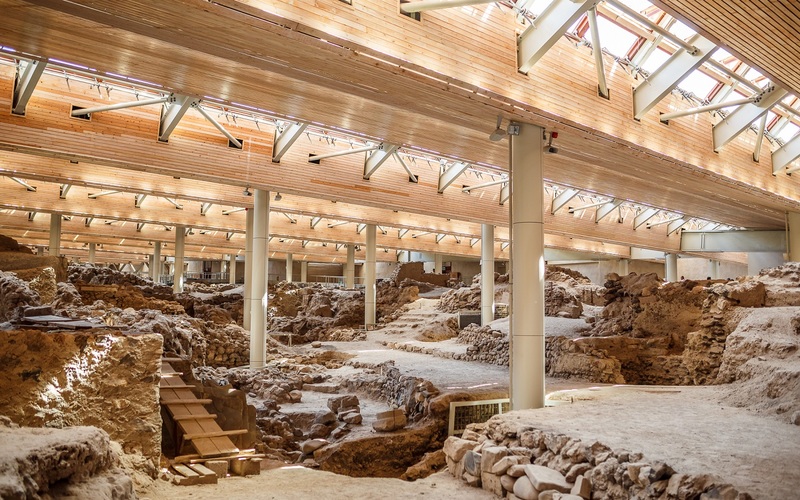 Cooperation between the global cybersecurity company and ASA dates back to 2015, when Kaspersky Lab sponsored the renovation of the frescos of Akrotiri. The project has been extended, and recognizing its significance, in 2016 Kaspersky Lab is providing more support to the scientists in different spheres of their research. The work is now focused on collecting new data about the ancient civilization and settlement on the volcanic Greek island of Santorini (Thera). Kaspersky Lab’s cooperation with ASA will support several phases of the project at Akrotiri. The first phase will consist of excavations in the House of Benches near the Xeste 3 building. This is where the golden ibex of Akrotiri was found in 1999. Because this is the only golden artefact to be discovered at Akrotiri so far, scientists hope that further research and excavation will help them find an altar. The second phase will include work to restore and conserve the wall painting from the Grand Staircase of Xeste 4. During past excavations, several dozen square meters of fragmented wall paintings were retrieved here, but many pieces are still to be found. These wall paintings once decorated the walls flanking all flights of the staircase, and its landings are estimated to cover a total surface of ca. 90m². Kaspersky Lab has previously supported ASA in the conservation of the unit from the East and North wall of the landing on the second floor (ca. 12.50m²), and this year’s project will cover the next unit: the North and South walls of the fourth flight of the staircase (ca. 12,50m²). Last but not least, Kaspersky Lab is sponsoring the project’s building conservation work. The ancient system of wooden building reinforcements is disintegrated, distorting parts of walls and floors. Some rescue measures were taken during the excavations in the 1960-70s, but the behavior of the monuments under the strains of time, the climatic and environmental conditions, and earthquakes, has not been fully studied yet. Kaspersky Lab is sponsoring the on-site mapping of the present state of preservation of the ruins and analysis and classification of collected data about the monuments, to help scientists find the best ways to save the buildings from decay. “Akrotiri has always been a special place for me and for many people who work here. We continue the work in order to get answers to the questions about the inhabitants of the island who lived here thousands of years ago. I am very pleased and grateful to see that Kaspersky Lab is interested in our work and is ready to support our long-term project. The company brings great opportunities to our scientific research. 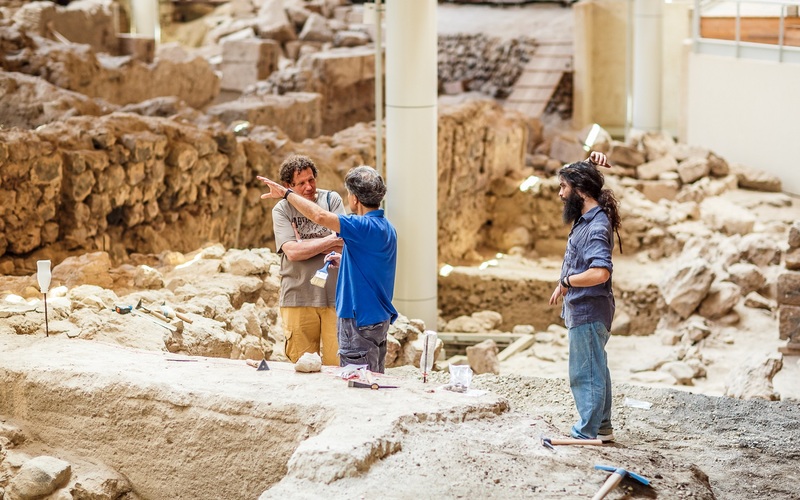 We discuss the plans for the future as I hope that Kaspersky Lab will become our long-term partner when speaking of future cooperation,” comments Professor Christos Doumas, Director of the Excavations at Akrotiri.